Sweet and juicy mango chunks drizzled with a sweet chilli and lime syrup and wrapped in a warm soft tortilla, topped off with dollops of cold vanilla ice cream. A dessert worth inviting the whole family round for. Start this mango dessert recipe with the sweet chilli syrup. Throw the sugar, water, red chilli, lime juice and zest into a small pan and get it on a hob at a low heat. Keep stirring it until all the sugar has dissolved. Then turn up the heat, bringing to the boil and simmer for 10 minutes until its smooth and syrupy. Leave to cool slightly. Grab the chopped mango, toss it in a bowl and drizzle over the warm syrup. 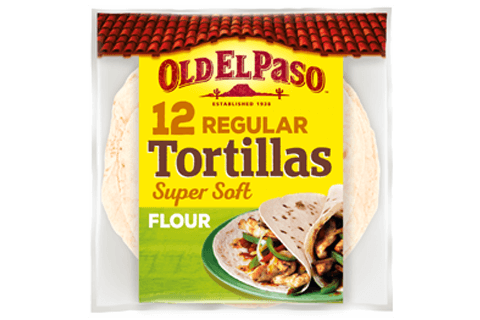 Warm up the Soft Tortillas following the instructions on the pack. 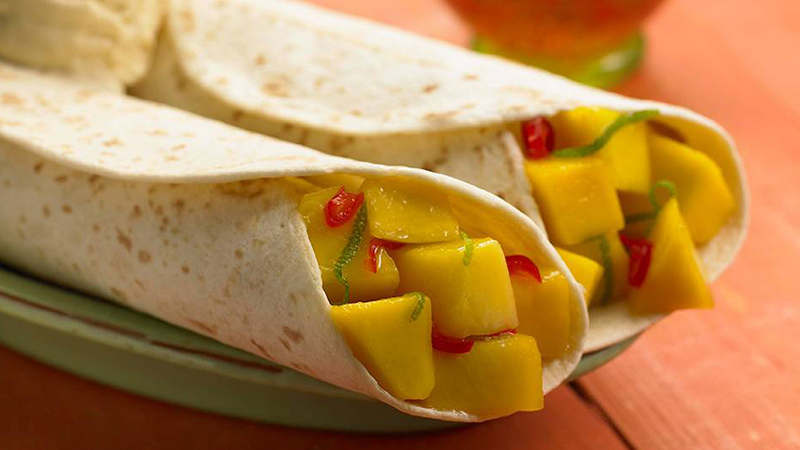 Get everyone together and spoon the mango chunks into the tortillas. Drizzle on plenty of sticky, sweet syrup. Then top each mango fajita with a cool scoop of ice cream.